Zirconia Crowns are popular due to their natural look and durability. The extent of which can be matched to colour of existing teeth. They’re quite popular among dentist since they can be bonded or cemented providing more options. Zirconia crowns can also be layered with porcelain, which improves their aesthetics. appearance. As the core foundation, further shaping, glazing, colouring, and natural staining can be performed to the crown to enhance the natural look and feel. Renown for their exceptional strength and reliability, zirconia crowns can generally withstand everyday foods. With today’s technology, zirconia crows can be developed using CAD/CAM procedures and 3D printing. These technological advances increases a higher rate of excellence for fittings. The custom design and fitting of the crown using machine prostheses, allows exceptional matching of the patients natural dentition. On average when made my dental professionals, zirconia crowns can last anywhere from 10-15 years. 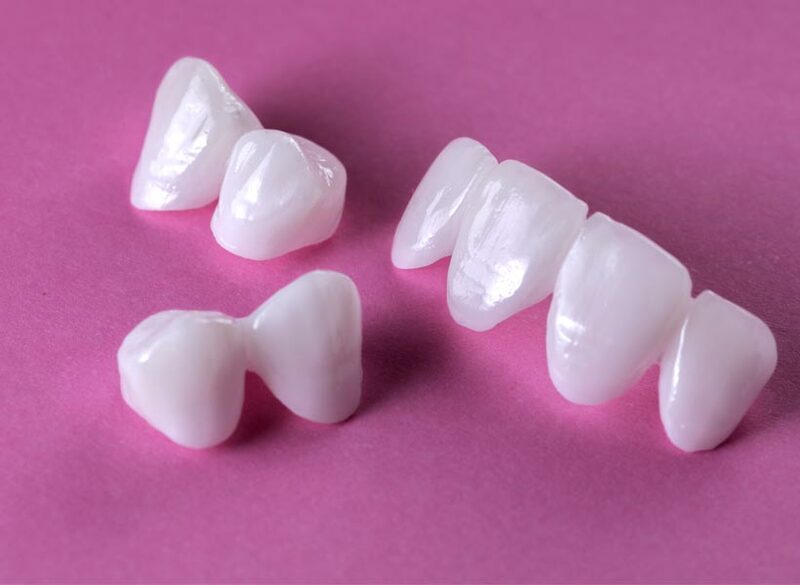 One of the world’s leading glass-ceramics, E-Max crowns are aesthetically pleasing. High in strength and durability, they’re popular due to their minimal obstruction. Similar to Zirconica, E-Max is also translucent in colour, allowing for a closer and accurate match of colour to existing natural teeth. The ceramic base avoids any metal allergic reactions. This makes it a considerable option for both health and cosmetic reasons. E-Max is made of lithium desilicated ceramic, which is tough and durable. The strength of the ceramic is lighter and thinner than traditional ceramic metal mix crowns. This means that less of the tooth or teeth are required to be removed or shaped to allow the crown to fit. The thin lining of E-Max is preferred for patients that have minimum room between teeth. Elite Dental Lab’s, E-Max crowns are produced using state-of-the art technologies by qualified dental technicians. 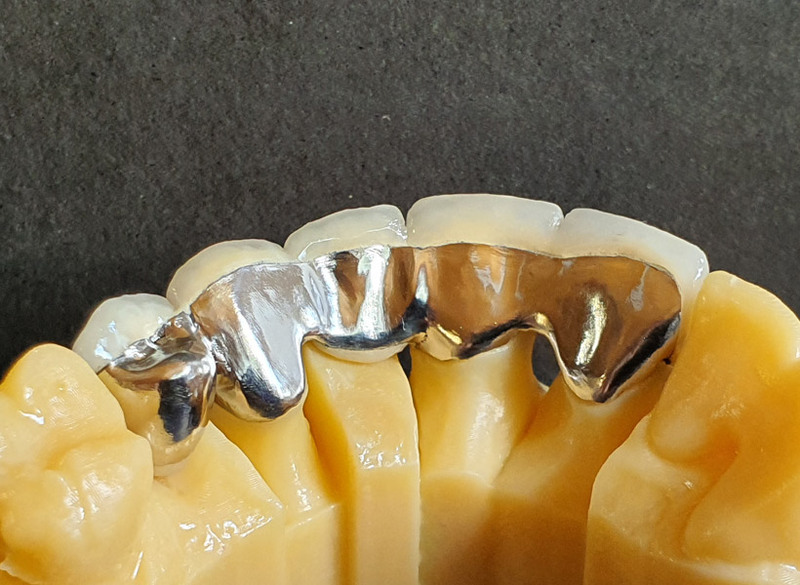 A hybrid construction, the most common type of crown, PFM or the latest generation known as Porcelain on Metal (POM) are cast metal substructure that have a porcelain cover. Teeth coloured ceramic is layered on top of the metal framework providing outstanding strength. The porcelain to metal fusing is therefore heavier and thicker than full ceramic crowns. With their strength, they’re a tremendous option for front and back teeth. Usually of a single build construction, which makes the out layer of the crown less likely to fracture or break. For patients that suffer from grinding during sleep then PFM is preferable or for when long bridges are necessary. PFM’s have a well documented history among all dentists and patients for their outstanding lasting service. Made from high metal substructure, PFM is biocompatible and often used with gold metal alloys (more than 12 caret), since they’re less reactive to allergies. 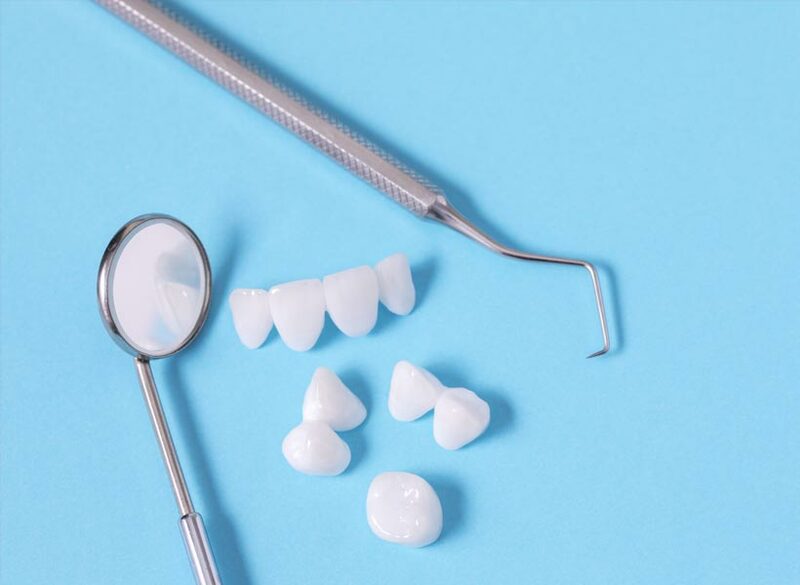 Being thicker than all-ceramic crowns, PFM’s have larger potential to eventually wear nearby teeth or opposing teeth that they bite against. The newest technological method of metal, is a method known as Porcelain on Metal (POM). POM utilize new methods of synthetic porcelain. Need dental crown or bridge repairs? Contact us for a quote or further advice on repairing procedure.